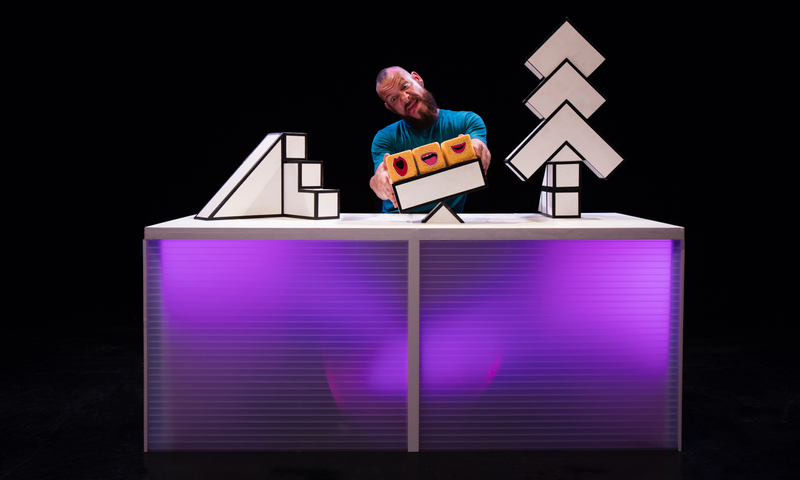 This year saw the ON THE EDGE, a World Festival of Theatre for Young Audiences, an annual event that takes place in a different international city each year. From 2-9 July Birmingham welcomes delegates and audiences from around the globe to enjoy world-leading theatre for children and young people, plus workshops, panel discussions, social events, work in progress sharings and much more! Each year ASSITEJ produce ‘The Magazine’ an international publication of articles about exciting practice happening in TYA. This year I wrote an article that got published…. here is the full text. I’m sure everyone reading this has felt left out at some point in their lives, it’s a feeling we all know and a feeling that is never comfortable. Sometime it’s because of a mistake we’ve made, words we’ve said or because of who we are. Being left out because of who we are, because of the colour of our skin, because for of our beliefs or because we are different from the perceived norm allows us to look at the world around us with a different view point.We’re not in the middle of it all, not centre stage but placed in the wings, peeking out and observing the action. Being on the edge of mainstream is a unique position., For all its negativity it can be one of luxury, not of pity. It allows us to sit back to examine and observe the world, question what we are seeing and spot the injustice happening all around. This unique view of life enriches our thinking, our creativity and our approach to the rules we are made to play by. For us the rules don’t always apply, which means we have the luxury of improvising and making our own. As the years have gone by for those of us on the edge, in the wings peeking out, we have gained in numbers, we no longer sit alone in the dark corners, we are together, we are speaking, we are creating ideas and ways to engage and we are about to burst out. Mainstream theatre has become obsessed with the latest trends, wanting to create the next best thing through cross collaborations with science, technology or media. But surely the best form of Interdisciplinary exchange is with those who are forced to live in the shadows because for years we have been making theatre that is truly interdisciplinary. We’ve had to think outside the box just to ensure we can communicate with each other and our audiences. For over a decade we’ve been using integrated sign language, wireless technology for audio description, live video captioning, adapting, changing and evolving every art from theatre to circus to make it accessible to us and in doing so created new forms of dance, music and performance. We’ve done this in the shadows on our own.To begin with it was so we could make theatre as good as the mainstream, but now we’ve evolved beyond that, we are making theatre that is becoming the mainstream, theatre that is beyond the mainstream. How are we doing this? By making theatre that is made by and for everyone. No longer will this multifaceted form of theatre be kept in the dark. There is movement happening and TYA is its natural bedfellow. We all know that Article 31 of the Convention on the Rights of the Child states that every child has the right to participate freely in cultural life and the arts. What’s important in the convention is the word ‘every’. Every child has the right regardless of whoever they are. Within TYA I see a change in the work being produced for young audiences, companies are making work for every child. Work that is specialised and made specifically for children with multiple and profound disabilities, work for children on the autistic spectrum, work for deaf children, for blind children. I applaud these companies for making very creative and imaginative bespoke shows but due to their their target audiences again this work is hidden in the shadows, out on the edges, so only a few fortunate people ever get to see them. In TYA we always think about our audience, but in doing so our focus can become too external facing. Yes we are making work for young Disabled people, but what about the internal aspect of TYA. Where is the cultural and creative exchange happening between Disabled artists and ASSITEJ? How are we encouraging those Disabled theatre makers to make work for young audiences? What is stopping us? As a global network we should be embracing this as much as we have begun to embrace the need to make specialised shows for disabled audiences. We should be seizing this opportunity to start a new narrative with those Disabled theatre makers in the shadow, who are on the edge, who have been using every creative tool necessary to make challenging, experimental and interdisciplinary theatre for the last decade. Theatre made by those ‘on the edge’ is theatre that doesn’t confine itself to traditional rules., n New forms and techniques are evolving all the time, not because we set out to do something different but because we had to and we have now turned this to our advantage, into a creative force that should be embraced not out of pity, but because of it richness. Let’s see Disabled theatre makers in the rehearsal rooms, on our stages and out of the shadows. It time to pull back the curtains, open up the mainstream and make a new centre stage that everyone can access. Without these new dialogues and artist exchanges, theatre for young audiences will never really be for everyone, instead it will be for the lucky ones and perpetuate the feeling of being left out by yet another generation.